It was just one of those serendipitous moments when that light bulb goes off in your head and a fabulous idea is born. Two years ago I received my first laptop as a gift from my husband. 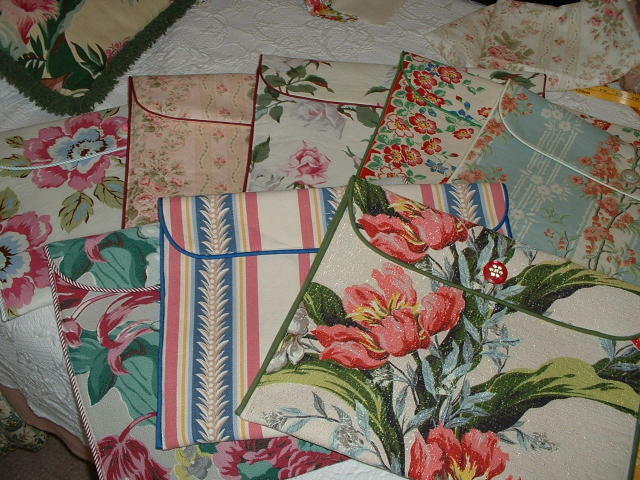 I travel quite frequently for my job and I needed to keep in touch and stay on top of my eBay store where I sell mostly handcrafted totes and purses created by me from vintage fabrics. After owning it for about a month I started looking around for a protective sleeve that would secure it from scratches and dust while traveling around in my car and in and out of hotel rooms. The only alternatives at that time were black, black and more black. Mr GeorgiaPeachez (who is always fiscally conservative) casually said "why don’t you make one?" I pondered that for a moment and then the light bulb went bing! I have been selling these in my eBay store ever since. The customer provides me with the exterior dimensions of their laptop and I custom make the sleeve to fit. I have recently expanded into laptop totes and I make custom sleeves to match. 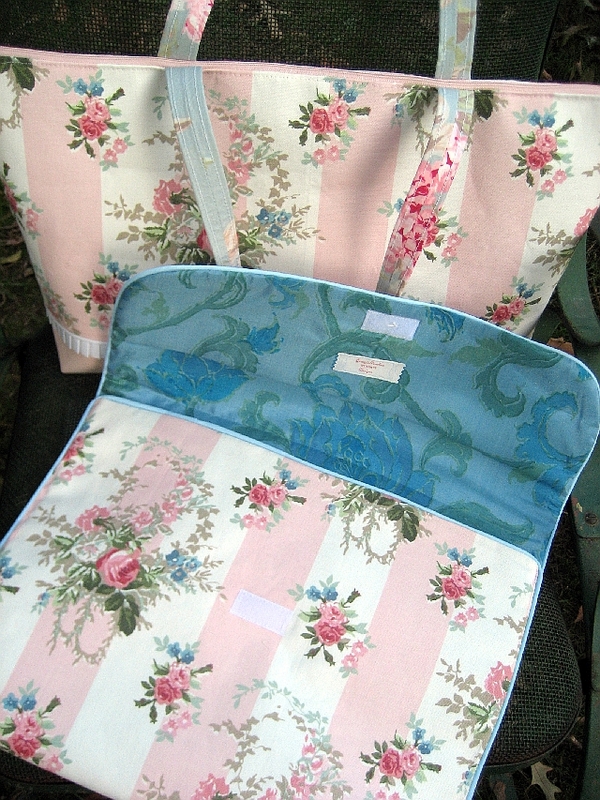 Here is one that I just finished for a customer out of a favorite Laura Ashley fabric. 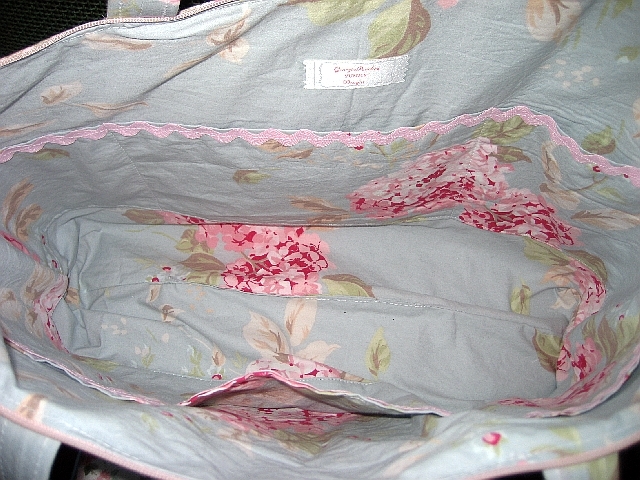 I put lots of pockets inside the totes and it has a zipper closure with a beaded zipper pull. This next one is my own laptop sleeve and tote. I made this before I started adding zippered closures. I used a magnetic snap on the tote. This is one of my all time favorite barkcloths. Very Art Deco! 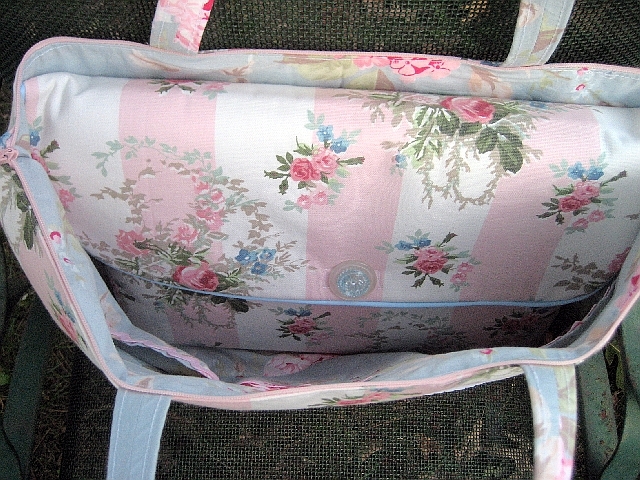 This is a pretty laptop tote that I made using Cath Kidston fabrics and I took it to The Cottage for the Holiday Open House. 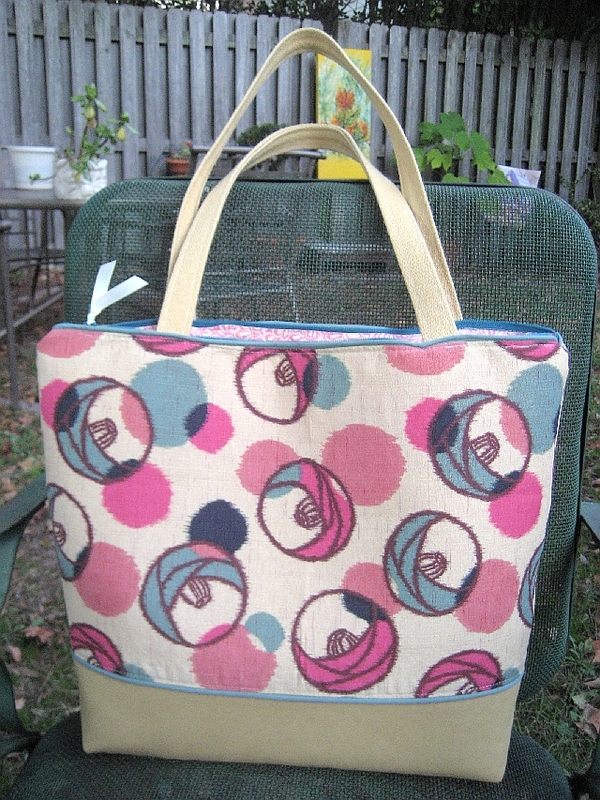 This tote went home with my new friend Amy of Inspireco. I made her a matching laptop sleeve and she is going to carry it to Silver Bella later this week! This laptop tote is made from a gorgeous piece of japanese cotton that I procured at the Mid-Atlantic Quilt show this past winter. I paired it with ultrasuede and it turned out quite nice. 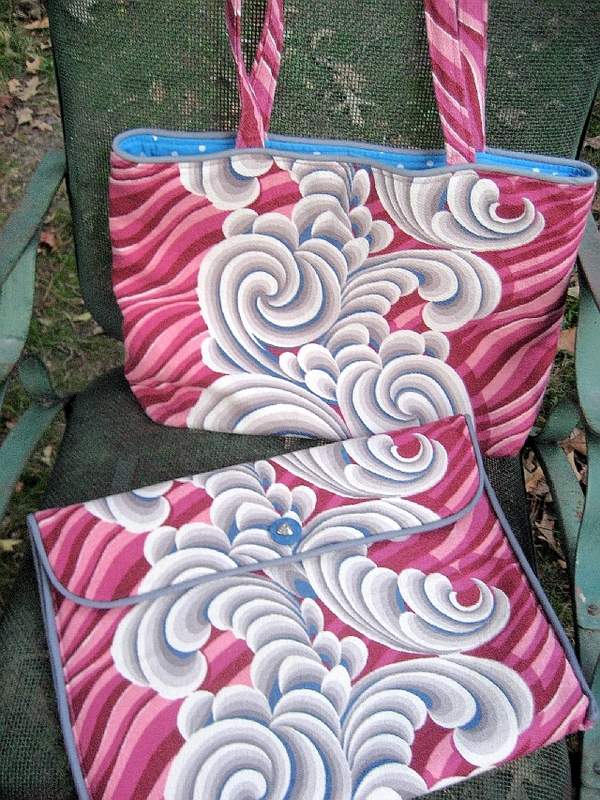 I am going to be making more of these one of a kind totes and matching sleeves from my inventory of vintage fabrics. They will go into my Etsy shop. I am happy to take custom orders too. 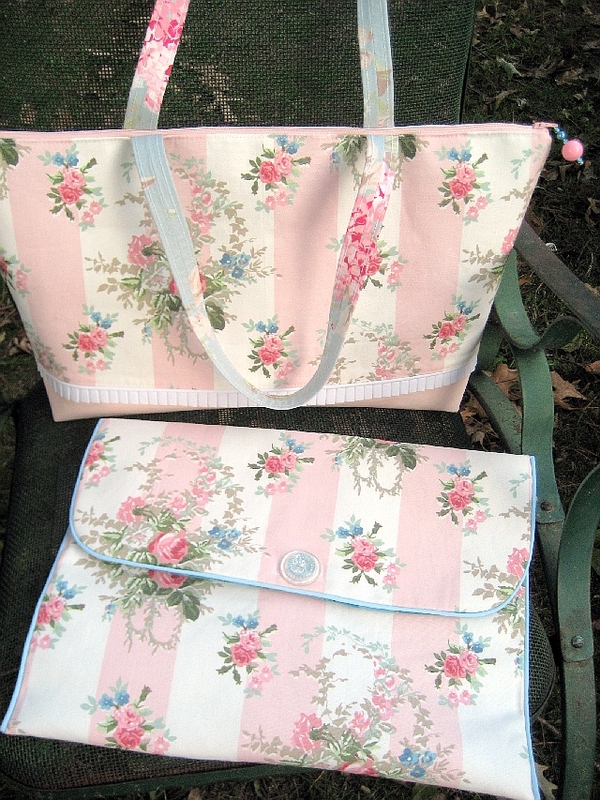 Every girl deserves a beautiful tote for her laptop, leave the boring black nylon bags for the guys! Clever thing you are! They’re all so beautiful! I don’t own a laptop but if I did I’d get one! I second that–almost wish I had a laptop just so I could buy one of these! They really are a winner, Suzy. Just like you! fabulous idea!….now I just need to get the laptop~~~Santa you listening? What a fabulous idea!!!! I don’t have a laptop..my son does…do you think he would go for the pink roses one???? haha! Just gorgoeus!!! Great bags…wish I had a laptop! Can’t wait to see what’s in your shop! Loved the pictures from The Cottage store. I love your laptop wraps and bags! I’ll be watching your store for these! I love those!! I may have to order one for my laptop….and send you some of my fabric!! I’ll get back with you! What an amazine idea! You need to send that to Mary Englebriets Home Companion magazine!! p.s. thanks for the nice words you left on my blog about my mosaic teacart! great idea! 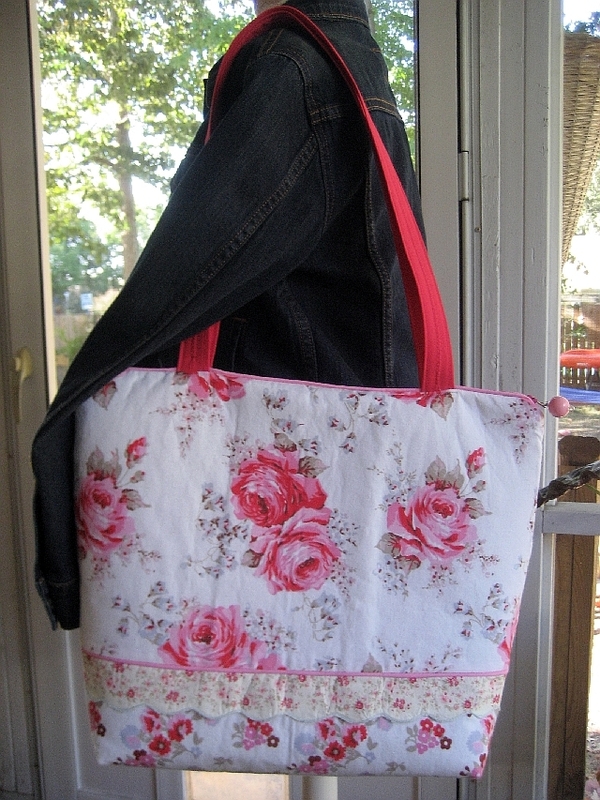 love the roses fabrics you use! I love those ! They are so pretty and great prices too ! I have so enjoyed browsing through your blog.. Thank you for your visit the other day. You have a wonderful talent and I sooo love your jewellery frame.. inspired! Oh my goodness! Those are absolutely stunning, you are freakin’ brilliant and I MUST have one!!! Where’s that dratted Christmas list…fumble, fumble… Ah ha! Momma needs a new computer case and matching tote!! Wow…I wish I had a laptop. These are beautiful. Love your work. GORGEOUS!!! And oh so very practical too!! Your craftsmanship and artistic flair coupled with good old yankee ingenuity have combined into quite a product here – bravo!! artisans who sell their wares online and I would love to include a link to your beautiful work with your permission. I couldn’t find an email address for you to mail you the information, so this was the only way I knew to let you know about it and introduce myself (I left a similar message over at Beth’s place too, BTW). If you’d like to know more, you can just drop me a line at bschultea@yahoo.com or leave a comment at my place – like I said, it’s free, and I just want to see a long full list of artisans – your link would be a perfect addition!! Get those laptop holders and all your other fine work into as many hands as possible!! Just one more reason to ask for a laptop for Christmas! Gorgeous creations, but then yours always are! what a great idea! Those fabrics are just so yummy! I’m so glad you had that lightbulb moment! Now we reap the benefits. I’ve being searching about Bags and reading your blog, I found your post very helpful. I thought I would leave my first comment. I don’t know what to say except that I have enjoyed reading.